STT has been pointing out for sometime now, the fact that Australia’s big 3 power retailers have been refusing to ‘play ball’ with beleaguered wind power cowboys, like near-bankrupt, Infigen and the union super fund backed disaster, Pacific Hydro. Commercial retailers have not entered any power purchase agreements with wind power outfits, since about November 2012; and have made it very clear that they have no intention of doing so, any time soon. As we noted back in September last year – Let the Sun Shine In: Australia’s BIGGEST Power Retailer Determined to Kill Wind Power – Australia’s big retailers had created a strategy that would kill 2 birds with one well-aimed stone. The first victim on their radar being the wind industry in Australia; and the second glittering prize, the completely unsustainable Large-Scale Renewable Energy Target. Here’s how the strategy is unfolding, courtesy of the AFR. Origin Energy chief executive Grant King knows better than most CEOs how risky it can be to get in on the ground floor with a new technology that promises huge growth potential. He was finishing his civil engineering degree at the University of NSW in the mid 1970s when he and a couple of fellow students founded Solar Technics, one of the first companies to offer solar heating for swimming pools. The company went broke and he lost everything. The abiding lesson he learnt was the importance of having sufficient working capital. But 40 years later, he can rightly claim to be the “Sun King” of Australian energy markets. When you include the new Clare Solar Farm, which employs tracking technology to optimise output, Origin will have more solar generation than AGL, which is the country’s largest privately owned investor in renewable energy. 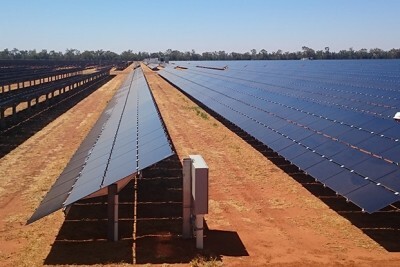 Origin’s power purchase agreement (PPA) with the Clare Solar Farm, which is about 80kms south of Townsville, is seen by many as a turning point in Australia’s renewable energy market. Origin signed a 13-year PPA to purchase the Clare Solar Farm energy output plus renewable certificates for a bundled price of $80 a megawatt hour. That is below the parity price for wind power. Credit Suisse analyst Mark Samter said last week that this deal was a milestone in the transition to renewables because solar prices have fallen to levels which the Australian Renewable Energy Agency (ARENA) had targeted for 2020. He said “this could herald the start of a renewables investment boom”. “We believe the stunning drop in solar PPA prices does put a cap on how far wholesale electricity prices can rise,” Samter said. King says investment in renewable energy died in 2014 and 2015 because of policy uncertainty about the renewable energy target (RET) and the sum of the value of electricity in the wholesale market and subsidies called renewable energy certificates (REC). But this year the economics have all changed according to King. The REC prices have doubled, there is bipartisan agreement of a RET of 33 terawatt hours by 2020 and there is a falling cost curve for installing renewable generation. Another way of looking at this is in relation to the necessary investment. It is likely that about $6 billion in renewable generation will need to happen over the next five years to ensure about 25 per cent of electricity generation is from renewables. King is not alone in believing that utility scale solar will come into its own over the next few years and become even more attractive if there can be bipartisan agreement about what happens after 2020. Australia is going to the COP21 conference in Paris later this year with a commitment to reduce carbon emissions by at least 26 per cent and up to 28 per cent by 2030 from 2005 levels. If climate change becomes a hot election issue there will be a stark difference between the Coalition and Labor, which has promised 50 per cent renewables by 2030. King won’t drawn on the politics of climate change but he says if we are to meet out COP21 targets there will have to be significant investment in renewables. Origin brings a unique perspective to the debate about renewables policy because of its involvement in utility scale solar in Chile for the past decade. Its 40 per cent investment in the 69 megawatt Javiera solar project in Chile’s Atacama Desert has provided the upper echelon of Origin’s management with an understanding of the rapid decline in solar generation investment when it occurs in optimal environmental conditions. Queensland offers the best conditions in Australia for solar. When King looks ahead to the mid-2020s, he cannot see any reason why there will ever be another coal-fired power station built. “All new investment in generation is likely to be renewables,” he said. “When you get to that point there will no longer be a subsidy. “In any market when you have to bring on new supply – you have to pay the long run marginal cost for that supply.” The question of everyone’s lips in the energy sector is: how does coal fired generation get retired? King says the market forces will work to force coal out because renewables do two things. “It reduces the price of energy for many hours of the day because it is must run zero marginal cost generation,” he said. “When the sun is not shining, when the wind is not blowing, it needs to be firmed. It is much more expensive to use gas turbines to firm it. “The average price of energy may even go up a bit but it will mean the economics of older base-load coal plants deteriorate reasonably quickly. “There will be many more hours in the day when they will get a much lower price. The exemplar for this is South Australia, where on some days when the wind is strong and the sun is shining about 50 per cent of all generation is from renewables. 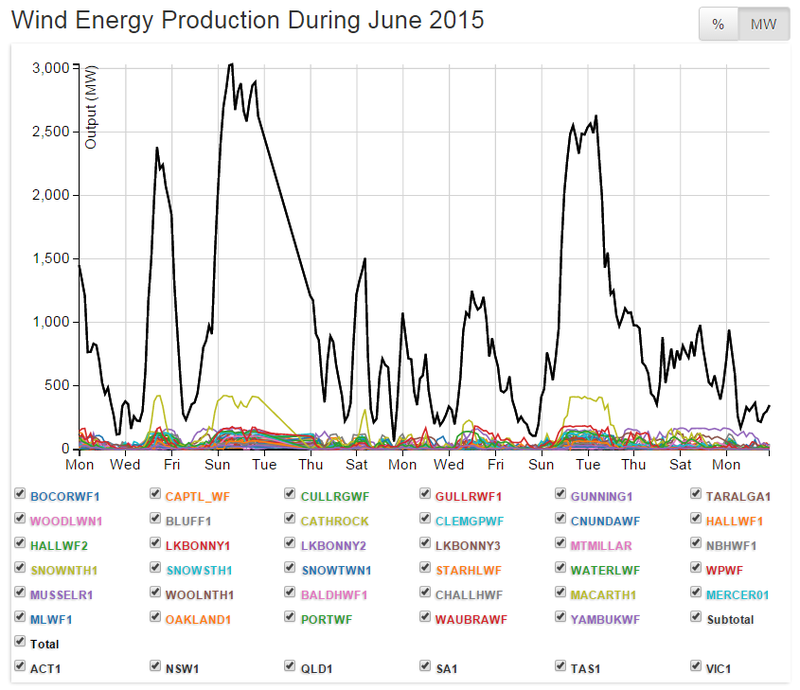 In South Australia, high cost coal fired power plants are being shut down. But the flip side is that when the wind does not blow there is enormous volatility. Brett Redman, chief financial officer at AGL told the Macquarie Equities conference in Sydney last week that when the wind is blowing there is negative prices for energy. “If you want your thermal generation on in the middle of the day when demand needs it you have got to be running in the middle of the night to be ready,” Redman said. “A lot of thermal generators are paying the market to be on at night in order to be ready for the middle of the day. That volatility is getting worse and worse within that state. “It’s actually putting a lot of stress and strain in that market and what you are seeing is price rises. Redman said the forward price curve shows prices for energy in South Australia rising to $80 a megawatt hour to $90 a megawatt hour between October this year and April next year. That compare to about $45 in NSW and $50 to $60 in Queensland and about $40 in Victoria over the same time frame. Redman says that after years of demanding politicians provide policy certainty so investments can be made over a 20 year period, the industry now needs some critical decisions to be made over the next two to three years. 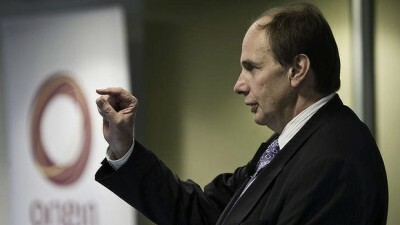 “When you build infrastructure, you are making a 20 year investment decision,” he said. “If you got any risk in the model that you have got to carry for 20 years that goes to how you are valuing that investment. “We need to move away from that almost entire reliance on government policy to bring back to more of a balance within the market place that starts to get us back to rely more on market supply fundamentals. STT thinks that Grant King’s comments about no new coal plants being built should be taken with a grain of salt. South Australians would be sitting freezing (or boiling) in the dark if it was down to the sun and wind. Even with the closure of Alinta’s Port Augusta plant, the bulk of SA’s power will still come from coal-fired plant in Victoria’s Latrobe Valley (via the Heywood Interconnector) and from coal-fired plant in NSW’s Hunter Valley (via the Murraylink Interconnector). However, even those systems are prone to fail during sudden and total wind power output collapses, leaving the whole State in the dark. Hardly suggestive of a future powered by the wind. And, unless Grant King has a ‘Sun Machine’ in his energy arsenal, solar generation will continue to drop off at sunset, for a 10-12 hour snooze, until it rises again. The Germans ran a line, like that pitched up by King, starting more than 16 years ago – they called it the ‘Energiewende’ and it’s cost them more than €200 billion (so far); sent its power prices through the roof and its meaningful industries packing. With German power prices already 3 times those prevailing in the USA, BASF “chose the US for its largest single investment ever, a $1 billion propylene factory in Freeport, Texas, to take advantage of low energy costs” and “BMW and SGL Carbon, which produces carbon fibers for BMW’s lightweight E-series electric cars, built their latest $300 million carbon fiber plant in Moses Lake, Washington, because of competitive energy costs”. And, instead of closing coal-fired plant, the Germans recommissioned them and built more, in order to keep the grid up and running: instead of reducing CO2 emissions (as promised) the Energiewende is increasing them. Oh, the irony. No, Grant King & Co will do whatever it takes to return a profit to their shareholders. What’s got them interested in Solar is that – apart from its falling cost and ‘set-your-your-watch-by-it’ timing of daily-delivery – it is a relatively risk free way of collecting RECs and, thereby, avoiding the stick embedded in the LRET: a $65 per MWh penalty for every MWh the retailer falls short of the LRET’s annual target, aka “the shortfall charge“. The cost of those fines to Australian power consumers will add more than $20 billion to power bills – and the cost of REC Subsidy, in addition to the fines, takes the cost of the electricity tax set by the LRET to $45 billion from hereon. However, the fines need only be factored in while the LRET is in place and there’s no-one betting serious money on that outcome. What we mean by Solar being “relatively risk” free is the fact that the neighbours of a sea of solar panels aren’t going to be driven out of their homes (or driven insane inside them) by incessant wind turbine generated low-frequency noise and infrasound. Operators like Grant King are acutely aware of the inevitability of litigation being pursued by wind farm neighbours, which will be directed at having these things shut down at night or silenced forever. A court action in noise nuisance brings the prospect of both an injunction doing just that; and/or very substantial damages for the loss of the use of homes and the diminution in the value of property that follows these things, wherever they get speared. STT hears that several communities, either affected by wind turbine noise or threatened with it in future, are about to launch court action precisely to that end – an operational risk that Australia’s sun-worshiping retailers have determined to avoid. operators avoiding liability to neighbours. I have been living off grid for over 10 years with a mix of solar and wind. Wind was a total and very expensive wash out! Over the 10 years’ “experiment” I went through 4 low voltage (24vdc) wind generators, both home made (converted f and p washing machine motor) and factory made generators. I lost count of the number of breakdowns until late last year, the inbuilt “super” magnets nearly chopped my thumb off during yet another breakdown. I said “enough is enough” and removed the wind generator permanently. Over the ten years, the solar produced more power than the wind and often on days of no solar, there was also no wind! I built my solar power generation plant using micro controller technology so that it was able to track the sun. The main problems experienced were wind damage to the tracking mechanism and lightning activity with the electronics. When I built it 10 years ago, the price of solar panels was around four times today’s price so that I virtually eliminated my breakdowns by making the panels “fixed” and fitting an extra 20% of panel. To be able to live “off grid” I have had to totally change my life style. This is achieved by having a lounge room heater (wood burning) which provides the hot water, has a large cook top and an oven – all looking like an ordinary heater. In summer, the hot water comes from roof top solar collectors. The house is built with large thermal mass, exterior awnings and wide veranda all round. Summer cooking is on gas, a 45kg cylinder lasting around 18 months. The refrigerator and chest freezer are super efficient (German made) and combined, use less power than a mini bar fridge. Clothes washing and house vacuuming are done early morning to allow the rest of the day to charge batteries. So there is quite a lifestyle change to going “off grid” as well living with the added airborne pollution. Just as well I live in the country otherwise neighbours would get a bit upset. I wish everyone who wants to live totally off grid and not have to significantly change both their way of living and their abode, all the best of luck. A rooftop solar/battery storage system in a standard backyard, simply does not “cut it” without significant change, believe me! Unless you also believe in fairies. I drive around the country and over seas and observe new mass housing construction underway and all of it still following all the old energy inefficiencies. Are we really serious about minimising CO2 emissions?